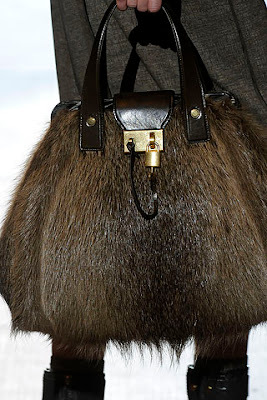 this fall/winter season fur totes were seen in pretty much every RTW collection: Dior, Gucci, Marc Jacobs, and D&G all had their version of real or faux fur tote, clutch, or shoulder bag. 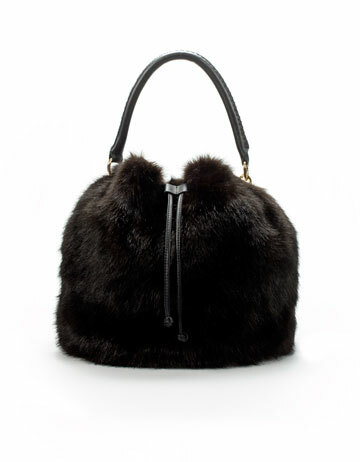 Sure - mink satchel or faux fur Dior tote are nice to have, but I can guarantee - you will get bored with it by the end of December. As usual Zara has a fab alternative - this super cute faux fur tote. Personally, I'm restraining myself from yet another handbag purchase, but I can see how it can update any winter outfit. Love that Marc Jacobs one, I was in awe of those bags when i saw his show live streamed back in Feb.